Professor Pleass explained: "Influenza vaccines have limited public health impact during pandemics, and current influenza vaccines are less efficacious than vaccines for many other infectious diseases. 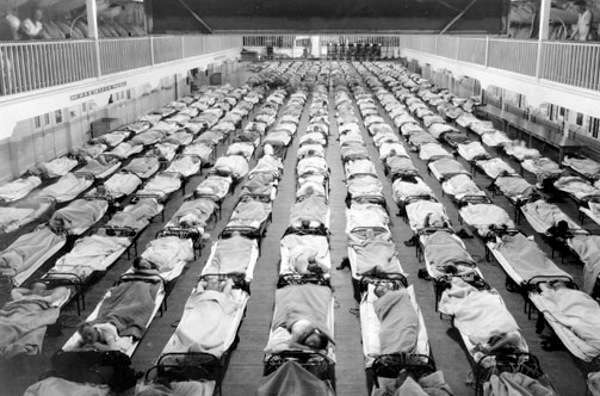 This is because influenza viruses that circulate in human and animal populations mutate two key viral surface proteins, haemagglutinin (HA) and neuraminidase (NA), thus allowing them to escape from protective antibodies produced through natural infection or vaccination"
"The transfer of antibodies from people recovering from influenza during the 1918 and 2009 pandemics reduced mortality from influenza by 50% and 26% respectively. However, to be useful, these antibody medicines (also called FLU-IVIG) need to be manufactured in advance of future epidemics, which is obviously problematic as there may be modest or little neutralising activity against newly emerging strains. Therefore, combinations of existing medicines, including FLU-IVIG, with sialic acid blockers could increase their efficacy while future-proofing against the next pandemic."